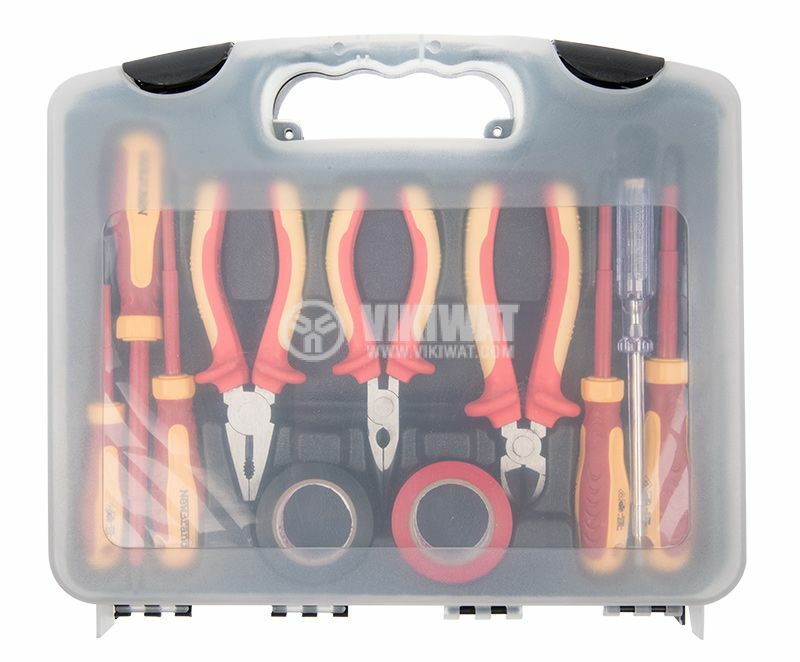 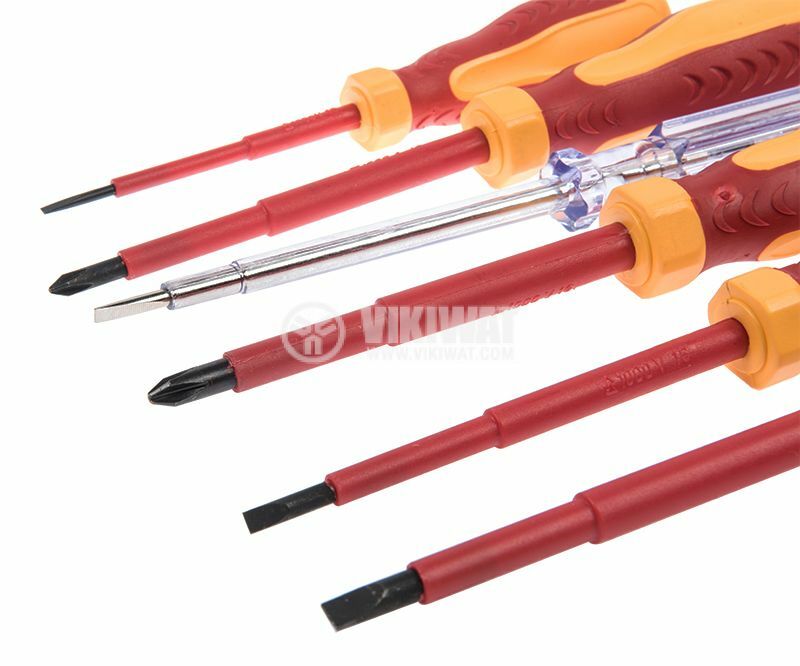 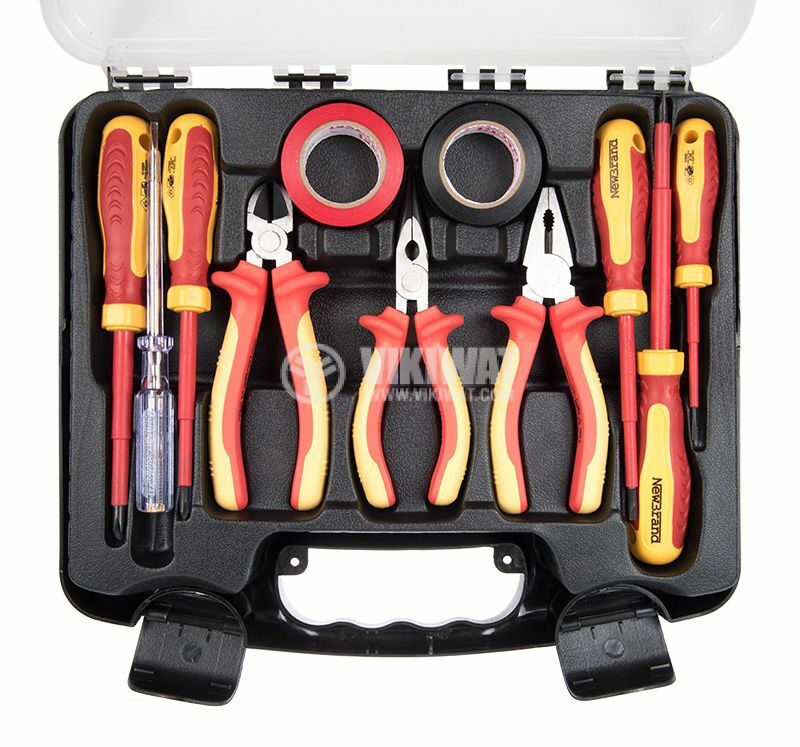 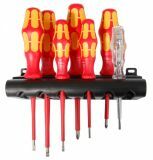 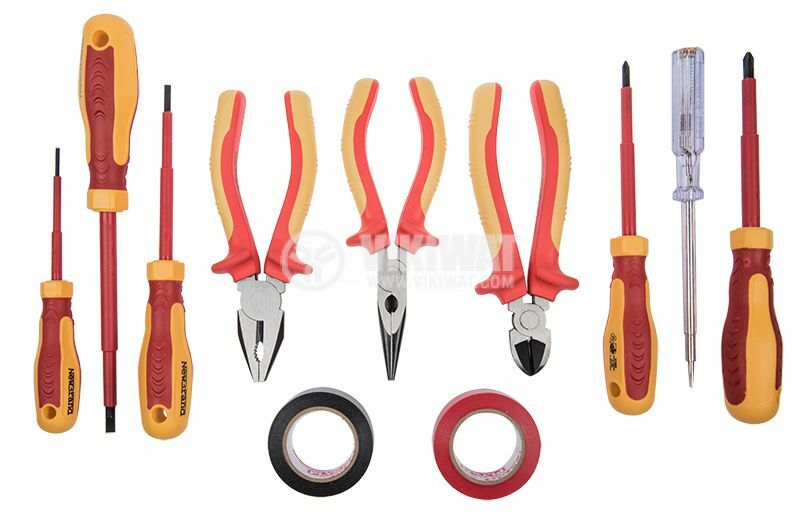 Set of 6 screwdrivers, 3 pliers and 2 insulated bars with insulated handles. 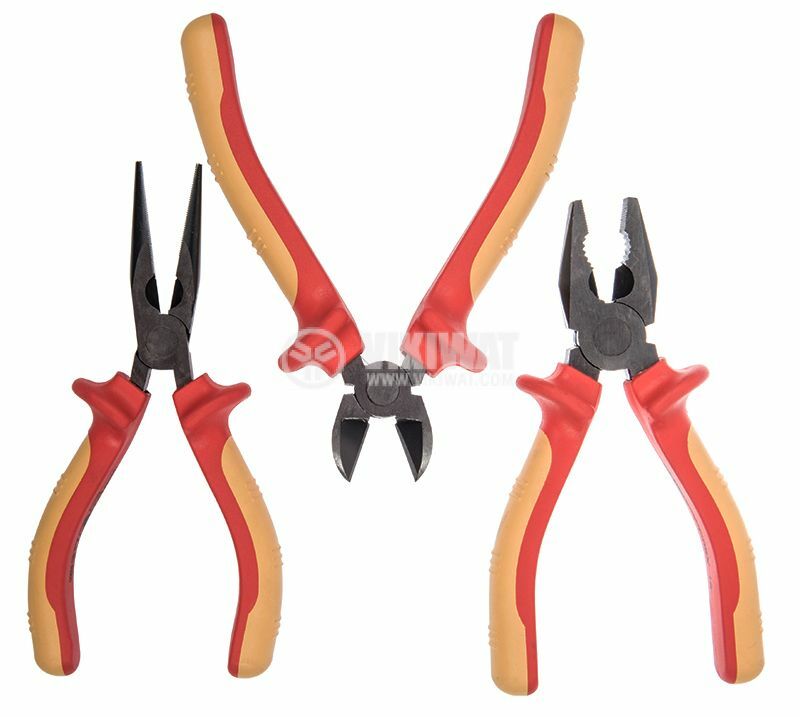 Suitable for work with electricity. 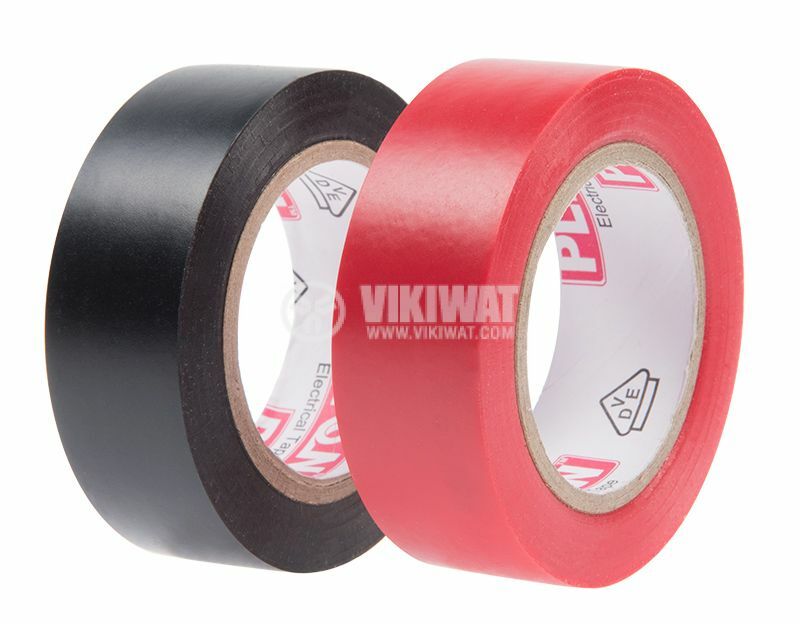 handle - anti-slip coating, ergonomic, two-component.